audiobooks have revealed their second single, 'Hot Salt', which you can listen to below. The band, who have been turning heads throughout the country with a run of extraordinarily strong live performances, including their debut show at the Heavenly Weekender in Hebden Bridge, an exclusive show at The Social in London and more. 'Hot Salt' is the band's second release, and follows the 'Gothenburg' EP released earlier this year. 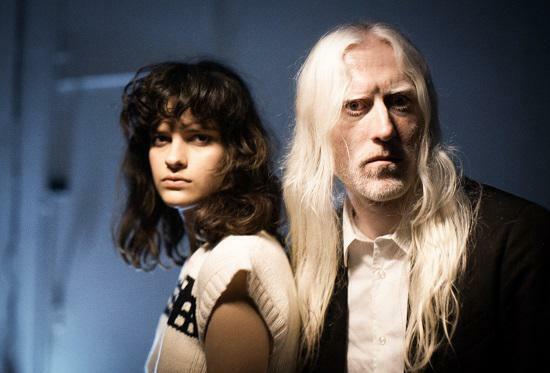 Of the track, which sees the band's two members Evangeline Ling and David Wrench share vocals for the first time, they said: "We wrote and recorded Hot Salt on Midsummer last year, channelling the sun’s rays through a magnifying glass of 70s synths and electric sitars to initiate a Donna Summer Solstice." audiobooks play their first headline set at the Sebright Arms in London on June 19, tickets are free and available here.